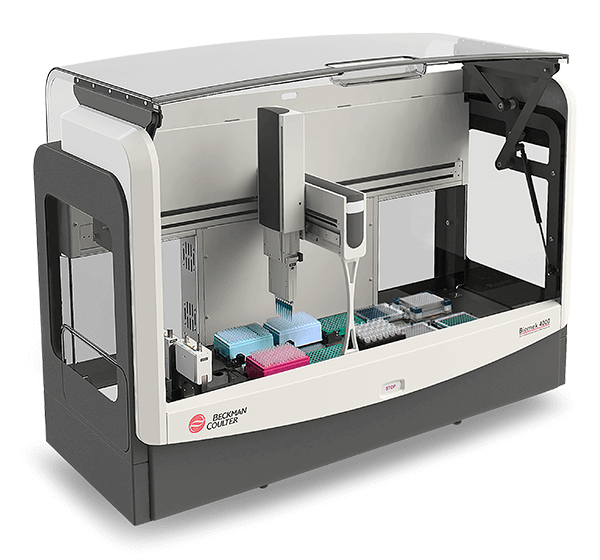 The Biomek 4000 Workstation offers powerful and intelligent liquid handling that adapts to changing situations. From its easy-to-use-icon-driven software and available application methods to its enhanced work surface with interchangeable tools, the Biomek 4000 Workstation is designed to help you streamline your workflow and automate your laboratory today and tomorrow. The Biomek 4000 Workstation takes your productivity and accuracy to new levels, so you spend less time on process and more time on powerful discoveries.